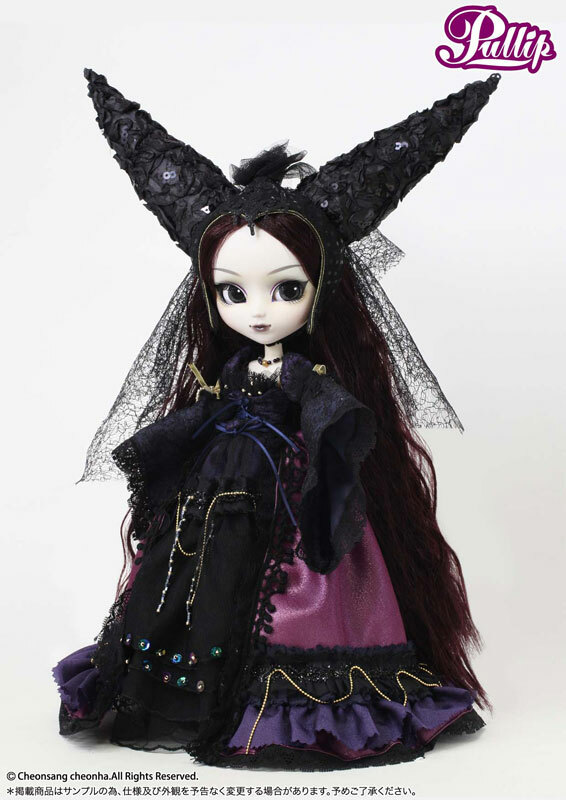 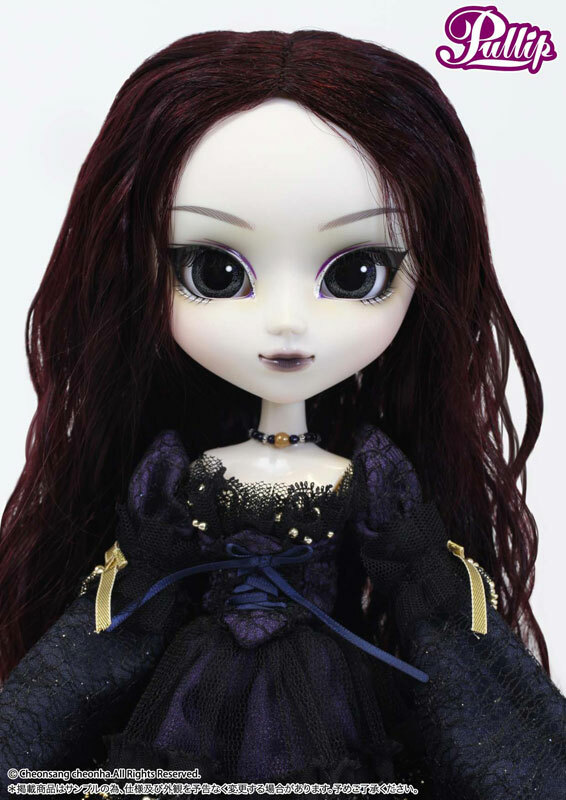 Pullip Midnight Velvet was a part of the original Snow White series designed by Ars Gratia Artis. 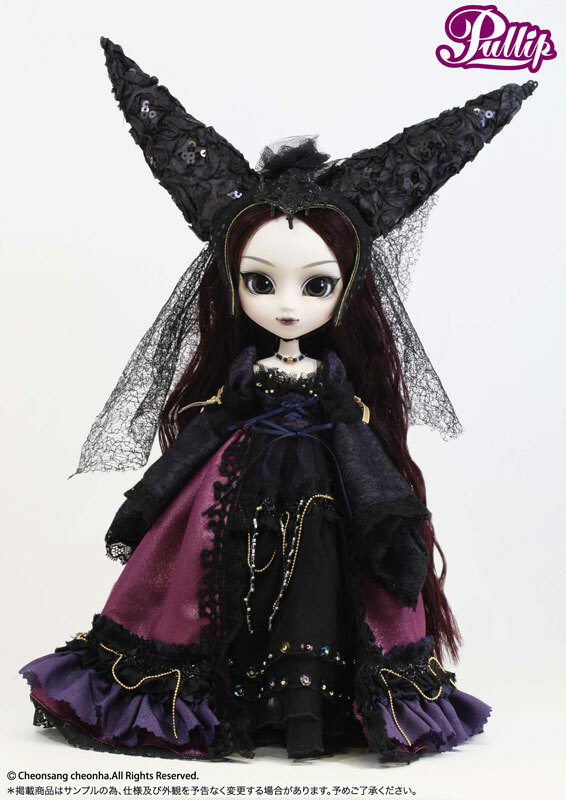 In addition to Pullip Midnight Velvet, the Snow White series includes Dal Sentimental Noon, Pullip Snow White, Isul Midnight Deja Vu & Taeyang Twilight Destiny. 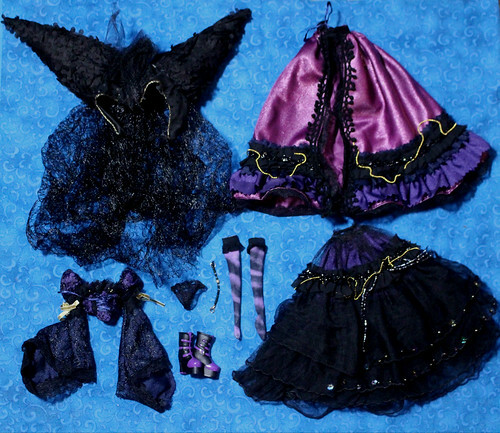 Stock: Pullip Midnight Velvet’s stock consists of a blouse, hat, overskirt, underskirt, socks, necklace, underwear and boots. 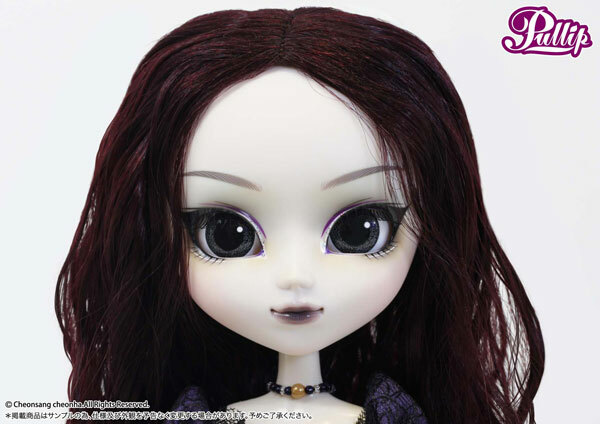 Special Notes: Pullip Midnight Velvet has glittery eyeliner! 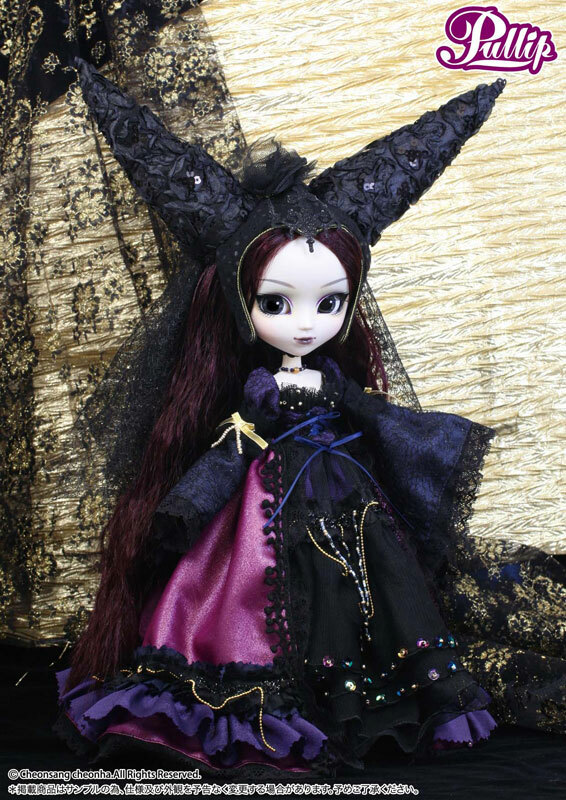 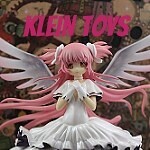 Known Issues: Possible long-term staining issues, unavailability of replacement parts because her skin tone is hard to match.